Overruled: Strzok's attorney, Aitan Goelman, thinks his 48-year-old client was unfairly punished given that the FBI's own Office of Professional Responsibility recommended only a 60-day suspension and a demotion. However, the FBI's No. 2, David Bowdich, overruled that recommendation, reports the New York Times. 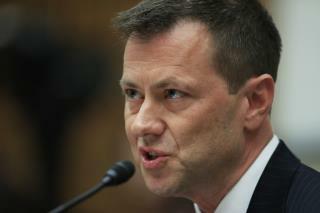 Strzok spent more than 20 years at the FBI and had become a top counterintelligence agent. Since I do not read it in the article, and it is possible that it has already being addressed in one of the comments below (379 comments. it will take me awhile to read), does anyone know if he gets a pension? after all he spent 21 years on the job. Thanks. The FBI can't possibly allow a seditionist to serve in their ranks. It would be an undeniable sign of their intent to overthrow the president of the United States.